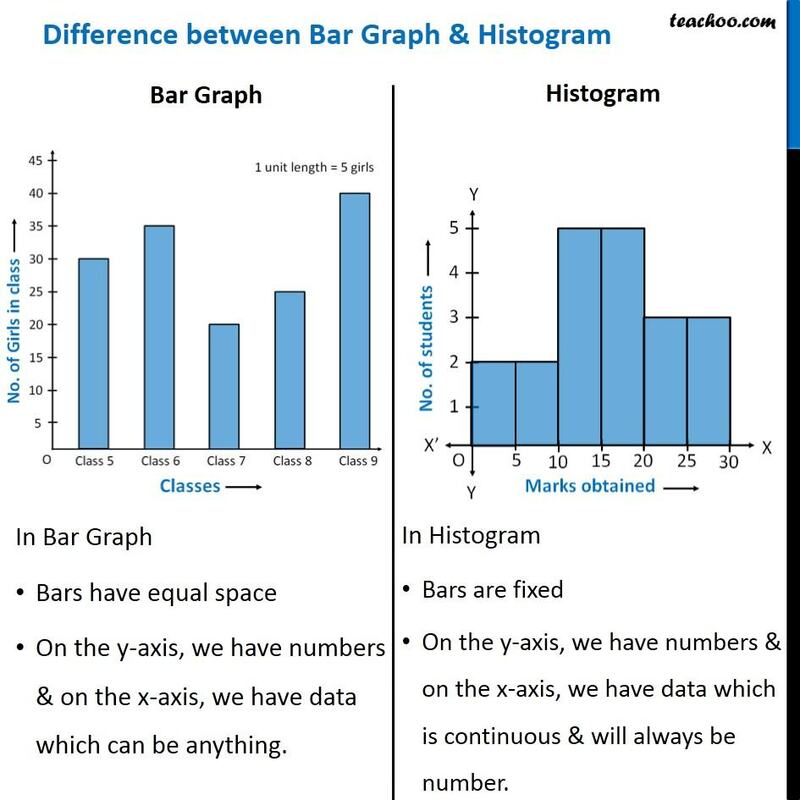 Difference between Bar Graph & HistogramBar Graph In Bar Graph Bars have equal space On the y-axis, we have numbers & on the x-axis, we have data which can be anything. Histogram In Histogram Bars are fixed On the y-axis, we have numbers & on the x-axis, we have data which is continuous & will always be number. Bars chart can also be drawn horizontally. 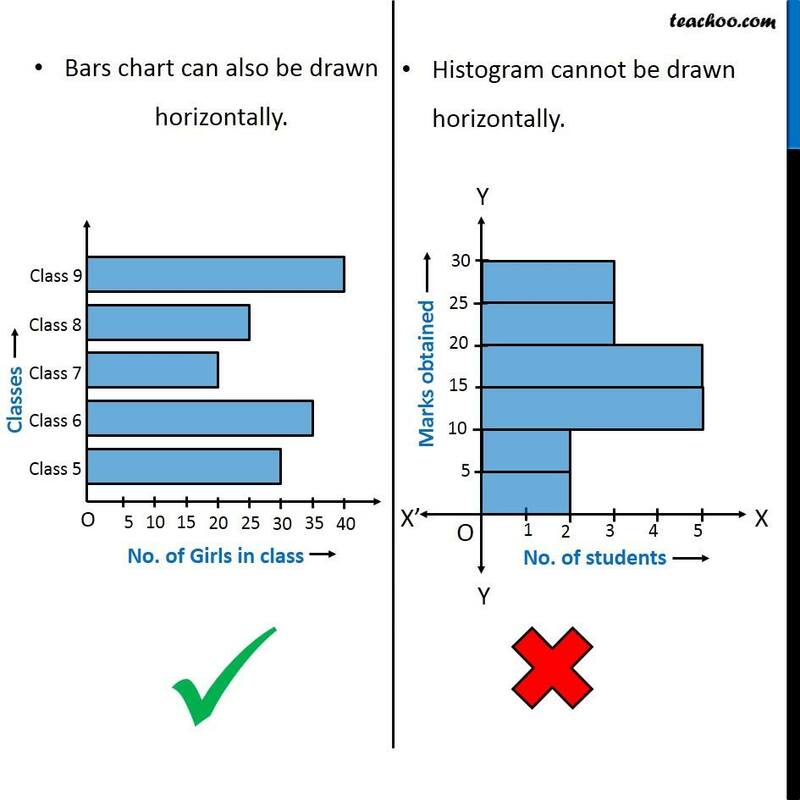 Histogram cannot be drawn horizontally.